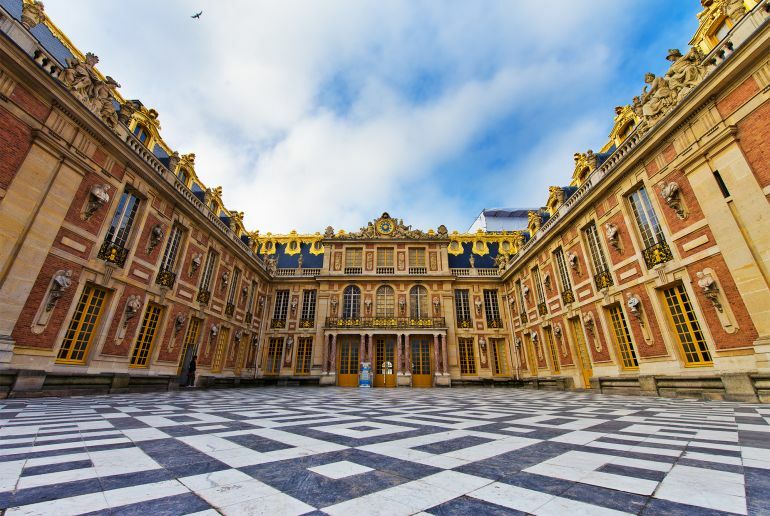 From a small village in the 11th century to the magnificent royal seat of political power in the Kingdom of France circa 17th century, the site of Versailles is witness to an incredible breadth of history. And within this gargantuan plot of land, stands the Palace of Versailles that started out as a humble hunting lodge, but was later transformed into a massively monumental royal court/residence that accounts for an astronomical floor area of 67,000 sq m (721,182 sq ft) – which is equivalent of more than 12 American football fields. However beyond just its enviable size, the Palace of Versailles also held its own as the very regal symbol of Ancien Régime, the political system in the French Kingdom (from 15th – 18th century) that married absolute monarchy to ostentatious aristocracy. Taking all of these fascinating factors into account, the folks over at Versailles 3D in collaboration with Google Cultural Institute have concocted a brilliant animated short that presents the apt history of Versailles, ranging from its grand Palace to its enormous gardens. The transformation of the Palace of Versailles from its humble beginnings into a monumental scope was fueled by the large construction projects patronized by Louis XIV, with the initial expansions designed and supervised by architect Louis Le Vau (from 1661–1678 AD). And as the video describes, the later years brought forth more enlargements, structural additions, renovations and refurbishments. Interestingly, the starting expenses for the construction project was viewed as a private matter for the Bourbon dynasty – and as such the funding came from the king’s own revenues, including amounts generated from New France (Canada) which was considered as a private possession of the king exempt from parliamentary control. And since we brought up the ambit of how the French monarchs were intrinsically related to the expansion of the Palace of Versailles, it should be noted that the rulers also considered their ambitious project as being symbolic of the regal power of France. 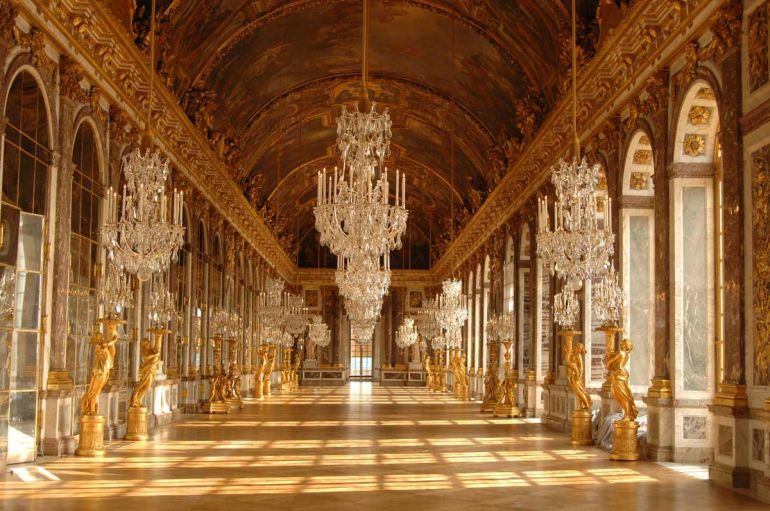 In that regard, the flurry of materials used were mostly all made in France, including even the mirrors used inside the ‘Hall of Mirrors’, in spite of Venice almost having a monopoly in producing glass. However while their opulent version of the ‘nationalistic’ flair was successfully showcased by the Bourbons, the penchant for native materials didn’t stop the astronomical costs of renovating and maintaining the royal palace. For example, the silver balustrade inside the king’s apartment alone might have contained in excess of one ton of silver, which possibly costs over 560,000 livres. To that end, due to the 17th-18th century time-frame of the Palace of Versailles, it is very difficult to pinpoint the exact cost of the building, given the variant parameters of construction, renovation and maintenance (and their present valuations). However some modern estimates say that at its peak usage phase, the maintenance costs for the palace (including logistics and food for the staff) alone accounted for anywhere between 6 to 25 percent of the entire French government income. And as for actual building costs, the estimates vary from $2 billion to all the way up to $299 billion! The extravagance of the Palace of Versailles can be summed by the sheer volume of spatial and architectural arrangements inside the massive building. As we previously mentioned, the palace itself encompassed a mind-boggling area of 721,182 sq ft. Comprising a U-shaped layout, the elevation of the palace resulted in a three-sided courtyard (cour d’honneur), with symmetrical advancing secondary wings flanking the main central block. This cour d’honneur was known as the Royal Court, and it was further flanked by two asymmetrical wings, thus resulting in a facade that stretched for over 1,300 ft. When translated to architectural components, the entire Palace of Versailles boasts over 700 rooms, 2,000 windows, 1,250 fireplaces and 67 staircases. These spatial elements are distributed over various interior sections of the building, including the Grands appartements (State Appartments), Appartement du roi (King’s Apartment), Petit appartement du roi (King’s Private Apartment), Petit appartement de la reine (Queen’s Private Apartment), Galerie des Glaces (Hall of Mirrors), Chapels of Versailles and even a Royal Opera – possibly the most ambitious building project within the chateau. As mentioned by the video commentator, the Palace of Versailles was home to a multitude of officials, on account of it being the magnificent court of the French Bourbon rulers. As a matter of fact, the grounds of Versailles at their peak (having the capacity for accommodating 20,000 people) was home to over 3,000 princes, courtiers, ministers and their servants. Interestingly enough, the spatial setup inside the palace determined the hierarchy of the social statuses of these numerous officials. So the inhabitants living closer to the king’s quarters were given more honor in terms of their social rank. But at the same time, Bourbon monarchs also housed the ‘troublesome’ nobles inside the grand chateau, in a bid to keep a closer eye on them. And these nobles, in spite of their high social status, were sometimes offered relatively paltry accommodations with two-bedroom apartments, thus making them essentially glorified prisoners inside the ‘gilded cage’. Many of them being acutely aware of their precarious situations, often bought and lived in townhouses in Versailles proper, while ‘officially’ residing in the palace. 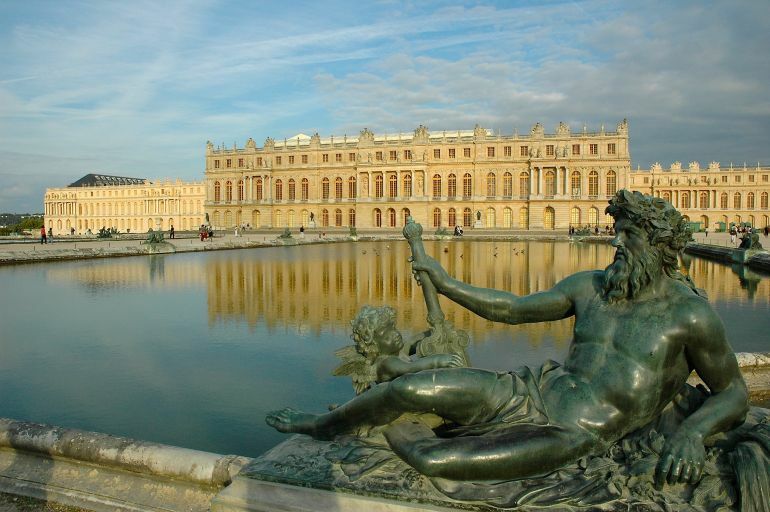 Now beyond kings, nobles and aristocrats, the Palace of Versailles was actually also open to the public since 1682 AD. Almost ‘marketed’ as grandiosely conceived tourist spots, many of the rooms and galleries of the chateau were accessible to the ordinary citizens, which allowed them to appreciate the numerous paintings, artworks and architectural pieces of the magnificent chateau. However the security was always kept tight, while the guests were expected to observe proper etiquette. This even entailed a gentlemanly dress-code for the general men, which required them to wear a hat and a sword – items that were rented within the palace grounds.